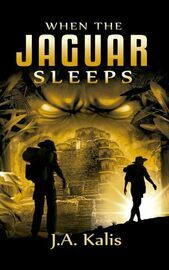 This fast-paced, non-stop action adventure thriller takes you on a fabulous journey to exotic places. Ecuador. What was supposed to be a dream holiday turned into a nightmare for a group of foreign tourists when their plane crashed in the Amazon rainforest. Having waited in vain for a couple of days for help to arrive, the survivors of the crash decided to set off on a daring journey determined to get out of the jungle alive. But while pushing on, unaware, they entered a territory inhabited by isolated Indian tribes hostile to outsiders. A territory where probably the fabulous treasures destined for the last Inca emperor Atahualpa’s ransom, had been hidden. As it soon turned out their nightmare was just beginning. Will they ever get out of the jungle alive?